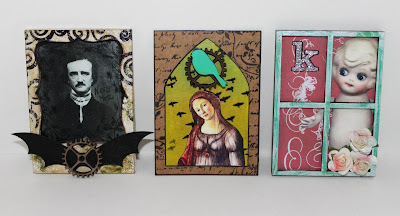 I had so much fun playing with our extended line of ATC Frames, that I thought it would be fun to share. 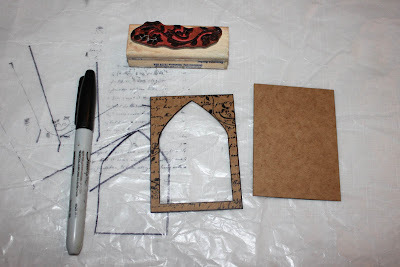 For the first ATC, I started with our Gothic Arch Frame (Stencil Board Material) and the coordinating ATC Base. 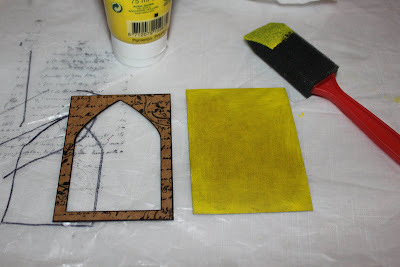 I first stamped it with a permanent black ink and then outlined the edges of the frame with a permanent marker. You can also ink the edges, but I find the marker to be less messy :). Copic markers work nicely too. While the frames can be painted, they also look cool natural. ............................................................................................... Using a sponge brush (I love these because they don't leave brush strokes) I painted the ATC base with yellow acrylic. 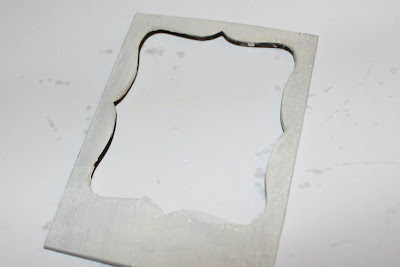 If you are impatient like I am, you can speed up the paint drying with a heat gun. 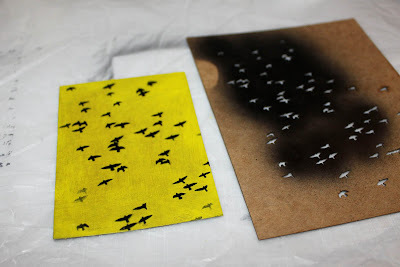 Next, I stenciled on some birdies using the Small Flock Stencil. .................................................................................................. I wanted to add some blue to the sky so I added a light wash of aqua using some watered down acrylic paint on a paper towel. 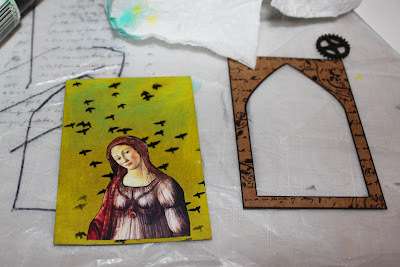 Once that was dry, I used a lovely lady from the Medieval Magick Collage Sheet and attached her to the base with Mod Podge. 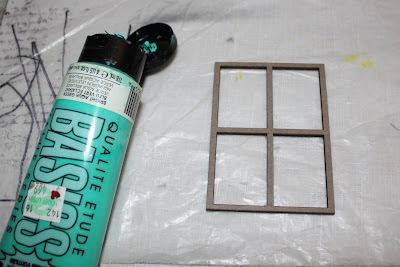 I love Mod Podge (matte) and use it for just about everything! 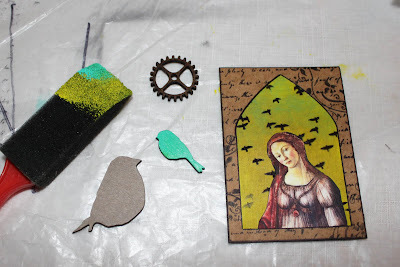 ................................................................................................. At this point I attached the ATC Frame to the ATC Base with Mod Podge, and then as a final touch I painted a small Chipboard Bird Cut-Out with the same aqua paint and then layered it with a unpainted Masonite Gear again using Mod Podge. ................................................................................................. And here she is! .................................................................................................. For this next ATC I decided to use the 4 Pane Window Frame in Chipboard. I knew I wanted to go with a shabby cottage style for this one. .......................................................................................... 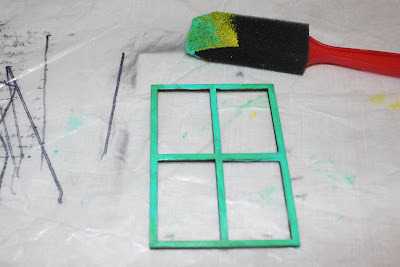 I quickly painted the frame with some aqua paint, and then after that dried, I brushed some white on top of the aqua to give it a "chippy" look. ............................................................................................. For the background, I decided to use a Masonite ATC Base. Yes, you can mix and match! I painted the base hot pink, and then added some white rub-ons. 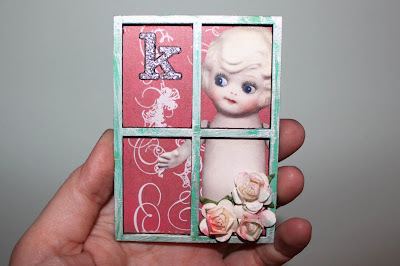 I cut out a doll image from the Hello Dollie Bodies Collage Sheet and then attached her wiht Mod Podge. I just attached the whole doll and then cut away where she hung over the base. Easy. ................................................................................................... 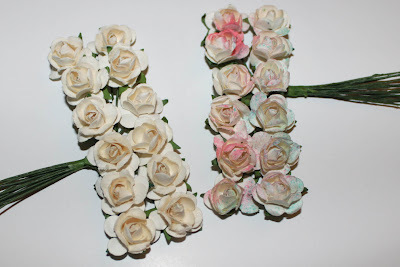 I wanted to attach some cream mini paper roses and thought they needed a bit of color so I sprayed them with my airbrush system. Since the roses are paper, you can color them with ink, misters, markers, paint, etc. ........................................................................................................ I attached the frame and roses with Mod Podge and then added a glittered K sticker outlined with a fine black Sharpie to make it pop. These would make a fun personalized gift. 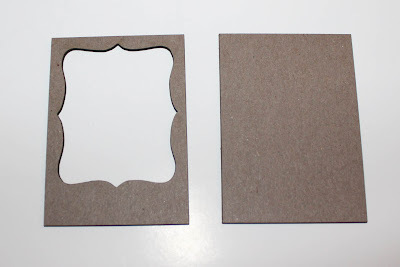 And since the back is wood, you could glue on a small picture hanger and hang them on the wall! 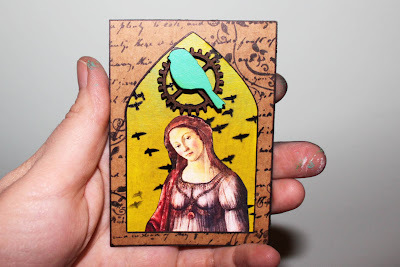 ................................................................................................ For this last ATC, I decided to go with a Chipboard Fancy Frame Style 1 and a Chipboard Base. ........................................................................................... First, I lightly painted the pieces with a cream acrylic. 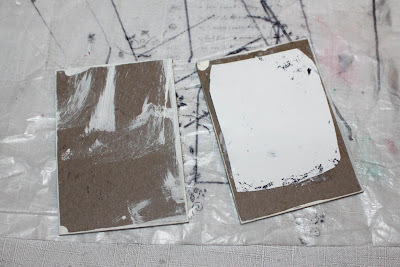 I wanted to go for a grungy look on these so I added some brown ink (I just smeared it around with my fingers) and then added some Gloss Mod Podge with a sponge brush for texture. 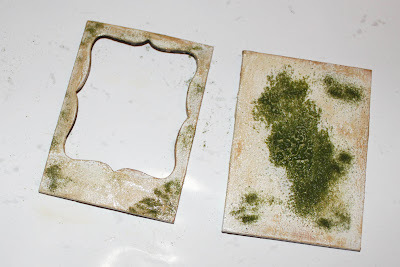 I sprinkled some green embossing powder on the pieces and then embossed for a "mossy" look. 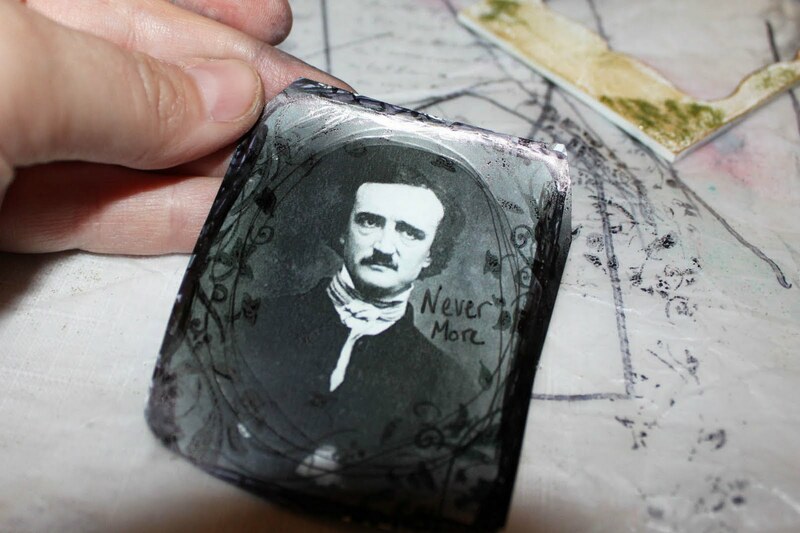 When I was visiting Maryland I had the opportunity to visit Edgar Allen Poe's grave site, which inspired this piece. It was quite Moss covered. 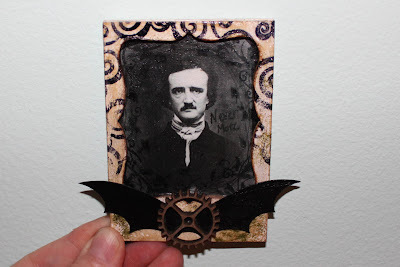 Using a Poe image from the Poe Collage Sheet, I doodled on it a bit with a fine Sharpie and stamped around the border. I roughly cut him out. 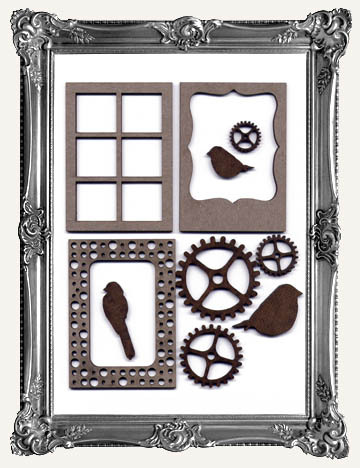 I doesn't have to be perfect, just big enough for the frame. ........................................................................................... At this point it was easiest to glue the image face down in the frame so I could see exactly where it was going. And then I glued the two pieces together with Mod Podge. ......................................................................................... 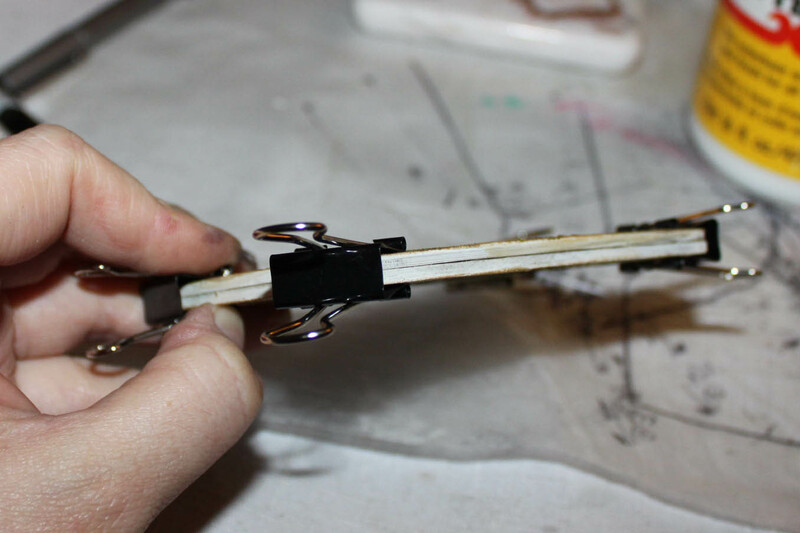 I used little office clips to clamp down the piece while it was drying. ............................................................................................ 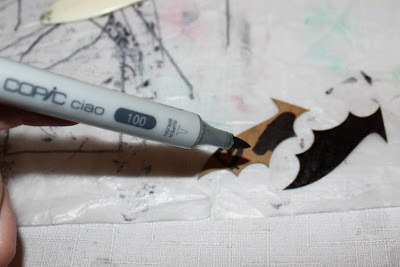 Using some of the new Small Wings (Bat Wings in Stencil Board) I colored them with my black copic marker. 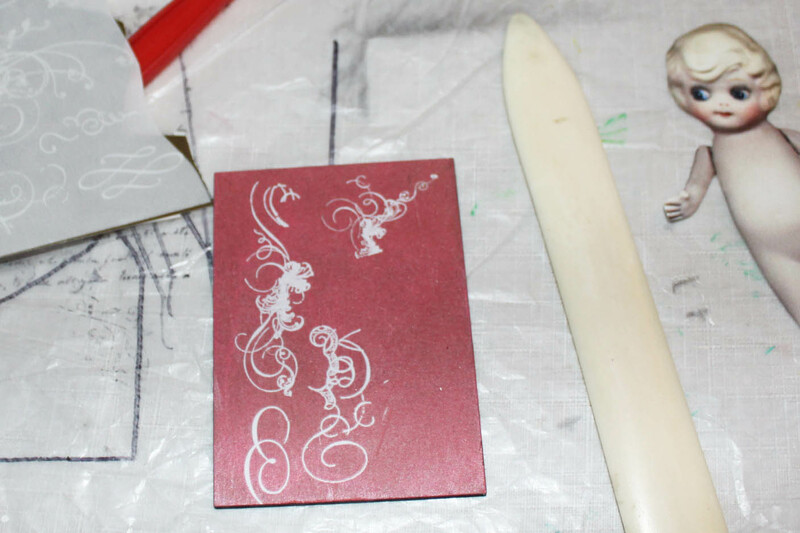 Because the stencil board is smooth, it colors with copics very nicely! ....................................................................................... Finally I attached the wings and an unpainted Masonite Gear. I stamped a few swirls around the edge of the frame. I purposely stamped on a paper towel first and then on my piece for a more worn look. When did you get time to do these!!!! And so beautifully done!!!! Damn, I want to copy the techniques, but will have to use my old brain a bit to come up with something unique:) :) Well done Kiddo, Brilliant! 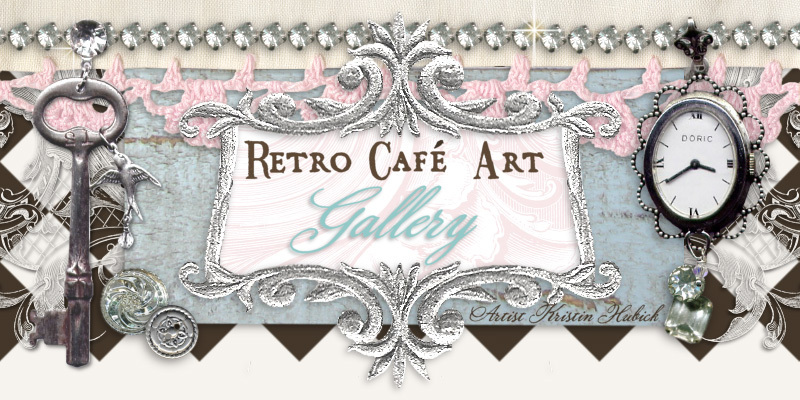 Looking forward to this wonderful contest you're hosting!!! !